A qualified nurse practitioner, Ms. Elizabeth Ndika works for her own practice based in Greenbelt, MD. She shows a keen interest in treating patients diagnosed with kidney stones, urinary tract infections, cough, fever, and chicken pox. Ms. Ndika received her master’s in nursing from Marymount University. She has more than 20 years of medical experience in the field of nursing. She is a multilingual communicator who can converse in English and Creole, which makes her skilled in building and strengthening relationships with diverse populations. Focused and caring, Ms. Ndika believes in providing effective and compassionate patient care. She encourages her patients to discuss their concerns candidly. She does her very best to communicate to the patients the information they need to make the right choices. Ms. Ndika is a certified addiction medicine provider as well as a certified medical marijuana provider. Ms.Ndika is a certified suboxone/addictiom/opiates treatment provider. Since my primary care doctor was not available so soon, I made an appointment to see Elizabeth Ndika and I'm glad I did. Her bedside manner is outstanding! She shows real caring as she takes the time to listen. Her officeassistant is friendly, professional and contacted the pharmacy for me. In my opinion, Elizabeth Ndika offers high quality service and is a very qualified professional. I highly recommend her. I filled in my purpose for visiting when arranging the appointment days ahead of time. However I did not find out until arriving that she could not provide the service I needed. It would have been much more useful if she'dactually read the information i originally submitted with the app. Great receptionist though. Very professional but still easy to talk to. Great energy. She was extremely patient and sweet. I will definitely return for any other issues. 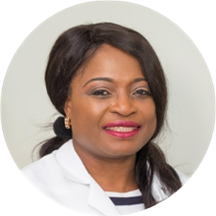 Elizabeth Ndika, FNP, CRNP, MSN has no appointments on Zocdoc right now.